Fixing up fairytale hairstyles (and other people’s problems) is all in a day’s work for Kittie Lacey. But now she needs a holiday! 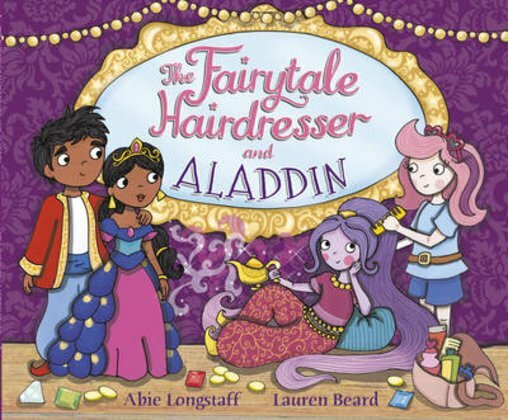 So the Fairytale Hairdresser jets off on a well-earned break in a faraway land. Time to relax in style. Except – if that was really what happened, there wouldn’t be much of a story. And you want a proper story, don’t you? YES! So the good news is, in no time at all Kittie is tangled up in a mystery with flying carpets, strange jewels and magical lamps. Can she rescue Aladdin, free the genie and save the day?